Hefty fines that punish people for putting rubbish in the wrong bin will be consigned to the scrap heap under plans set out by Defra today. A consultation has been launched to stop councils imposing ‘bin fines’ of up to £1,000 on households that overfill their bins or accidentally leave their rubbish out on the wrong day. “Honest, hard-working people have been punished for innocent mistakes with heavy-handed bin fines for far too long. We are now consigning these bin-fines to the scrap heap of history. The move would mean that fines could only be permitted if the local authority can prove that a household is causing ‘harm to local amenity’ by putting out their rubbish in the wrong way. Councils can still take action against people who cause problems for their neighbours or the environment by not managing their rubbish properly, without the same threat applying to people that make innocent mistakes. Under the current system, councils have the power to issue fixed penalty notices of up to £110, or push for criminal convictions and a fine of up to £1,000. To give households some early relief before the law is changed, Waste and Recycling Minister Lord Taylor has today written to all councils about plans to make interim changes to reduce the level of penalties to as little as £40 from this Spring. 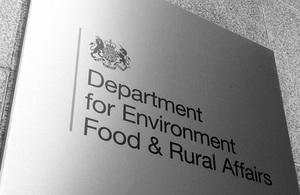 The consultation can be viewed here: http://www.defra.gov.uk/consult/2012/01/16/household-waste-1201/. The intention to reduce penalties for incorrectly putting out household waste for collection was set out in the Waste review, published in June last year. The existing powers and penalties are outlined in section 46 of the Environmental Protection Act (EPA) 1990. The interim changes in the range of fixed penalties will mean these reduce from £75-110 to £60-80, with a discounted rate of £40 for early payment. If council’s do not specify the amount of the fixed penalty notices, a default of £60 will apply.